I've been extremely lucky this year, and managed to squeeze in (and afford) three holidays this summer, but with the sun and flights, my skin has taken a bit of a battering! I knew I had to get something to sort my skin out before it got colder as my skin gets extremely dry during the winter, so I picked this gem up at duty free on my way home from Portugal as it worked out much cheaper than buying it in the UK! 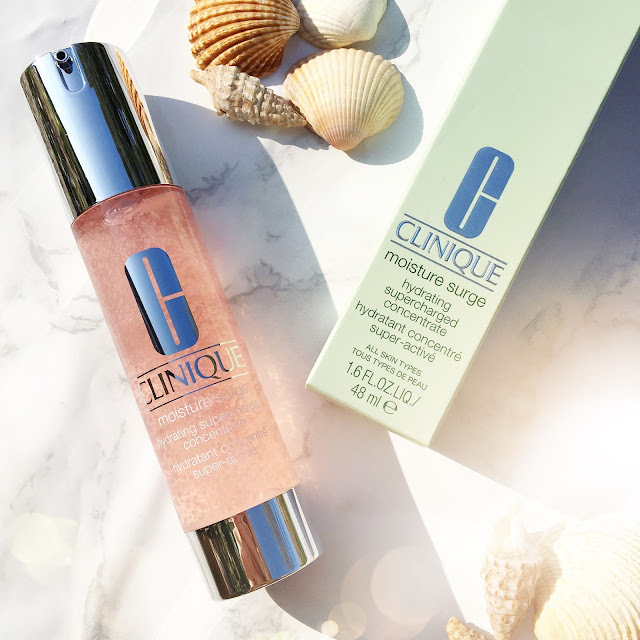 It is described by Clinique as a 'supercharger water-gel hydrator' and claims to give dehydrated skin a 179% moisture boost, keeping skin hydrated for 24 hours. I've been using this most evenings and as my pre-makeup moisturiser for over a week now and I can already see the difference. It is slightly sticky at first but after a few minutes and once it has sunk in to the skin a bit, it feels light and refreshing. I much prefer a gel moisturiser, compared with creams as I find they tend to be a bit greasy on the skin. This works as a lovely base for foundation, with or without primer. 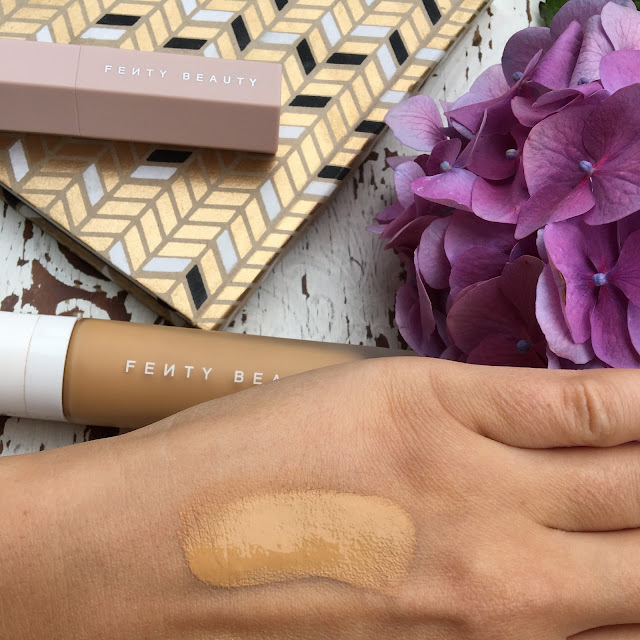 After seeing so much positivity around Rihanna's makeup line Fenty Beauty, I knew I had to treat myself to a couple of bits from the range. 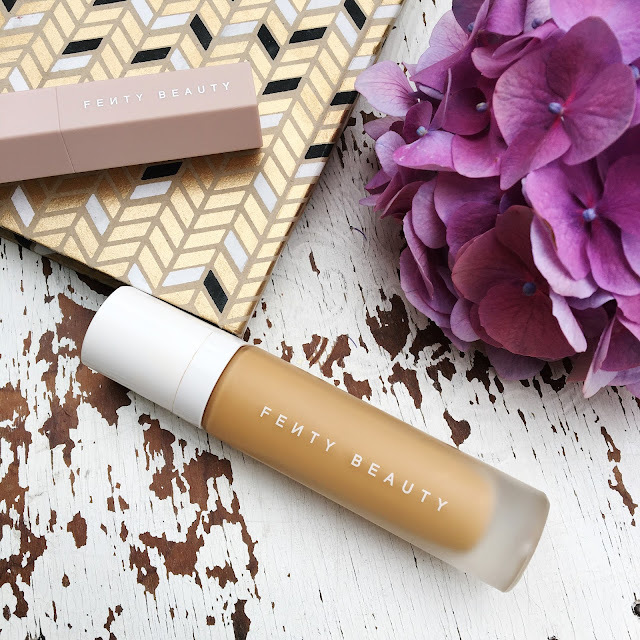 The foundation has had beauty bloggers across the world raving about the range of shades and the formula so I decided I'd give it a go. Unable to visit Harvey Nichols (who currently have UK exclusivity of the range) I decided to buy online. After spending a long time looking online at Youtube videos and images for swatches and skin tones, I went for the shade 310, which is part of the 'Tan' range and has warm undertones. This foundation is described as "a soft matte, longwear foundation with buildable, medium to full coverage". 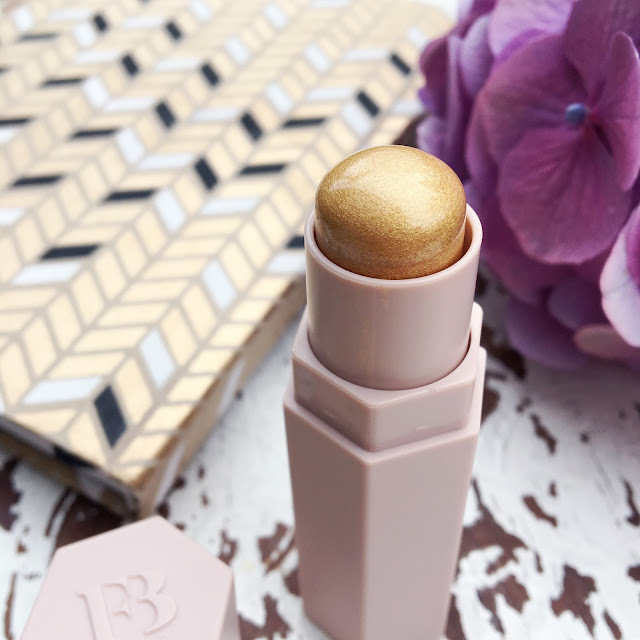 It comes in 40 shades and other brands seem to be following suit, with some of them now also offering a similiar shade range. 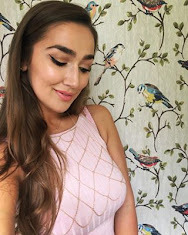 I was surprised at the thin consistency of the foundation when I first used it, but this means with such a pigmented formula, you get good coverage without a heavy or 'cakey' look. As with all foundations I have tried, it does darken once it's dried down on the skin, so this shade probably is the tiniest bit too dark (specially once my summer tan fades as winter approaches), but I know the next warm toned foundation would have been too light. I also bought one of Shimmer Skinsticks in 'blonde' (see my next post). Lastly and importantly, Fenty Beauty is a 100% cruelty-free brand. 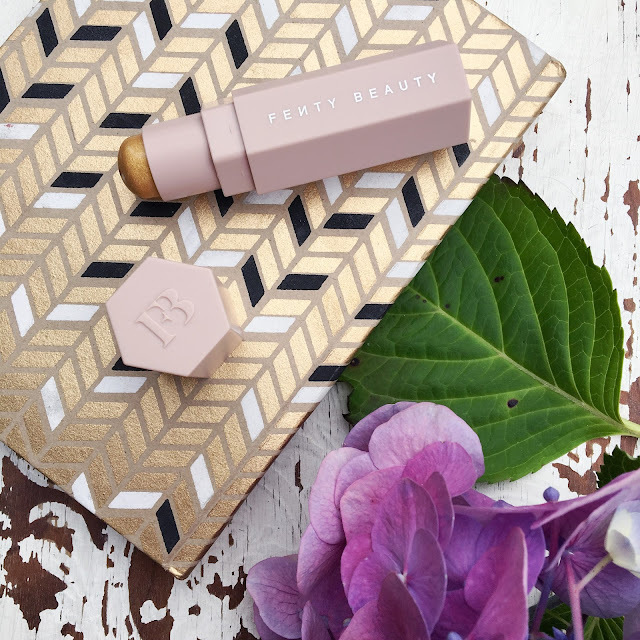 Have you tried any Fenty Beauty products yet?